Today’s Turkey little resembles that of recent decades. Newfound economic prosperity has had many unexpected social and political repercussions, most notably the rise of the AKP party and President Recep Tayyip Erdogan. Despite unprecedented electoral popularity, the conduct of the AKP has faced growing criticism: Turkey has yet to solve its Kurdish question; its foreign policy is increasingly fraught as it balances relations with Iran, Israel, US and the EU; and widespread protests gripped the country in 2013, as did an unsuccessful coup in 2016. The government is now perceived by many to be corrupt, unaccountable, intimidating of the press and intolerant of political alternatives. Has this once promising democracy descended into a tyranny of the majority led by a charismatic leader? Is Turkey more polarised now than at any point in its recent history? 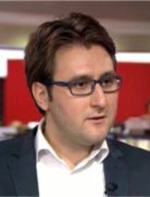 Emre Caliskan is reading for a PhD in International Relations at St Antony’s College at the University of Oxford. His dissertation explores the role of Turkish Islamic non-state actors in Turkey’s foreign policy making in Sub-Saharan Africa. His other interests include Turkey’s transnational Islam, Turkish foreign policy, and Islamic NGOs in International Relations. 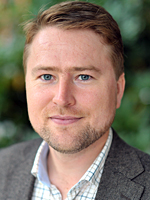 He holds an MA in Middle East and Mediterranean Studies from King’s College London and is the co-author, with Simon A. Waldman, of The ‘New Turkey’ and its Discontents (2016) which assesses social, religious and political polarisation under Recep Erdoğan’s AKP and the likely consequences for Turkey’s evolution. Discussant to Mr. Caliskan's talk is Postdoctoral Fellow at University of Oslo Einar Wigen. 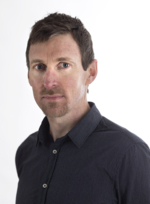 Chair is Senior Research Fellow at NUPI Kjetil Selvik.